With Omnifocus 2 for Mac’s update this past week, much talk has been devoted to how Omnifocus can be used to conform to different people and different uses. Usually, these workflows are intensive and complex, so it’s hard to know whether Omnifocus would work for less complex situations. 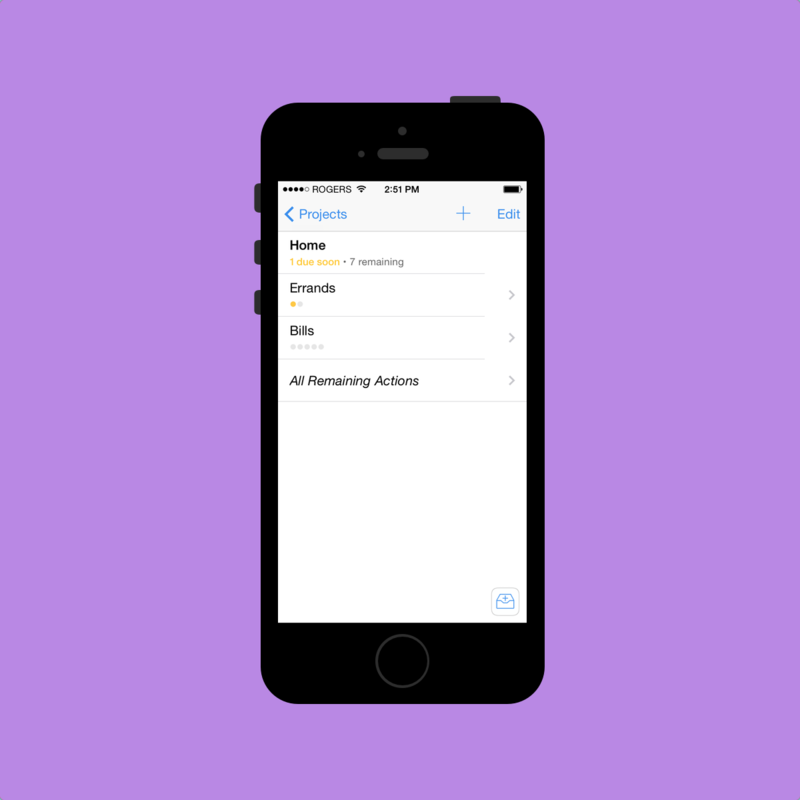 There’s no better way to find out if Omnifocus suits you than to try it out for yourself. 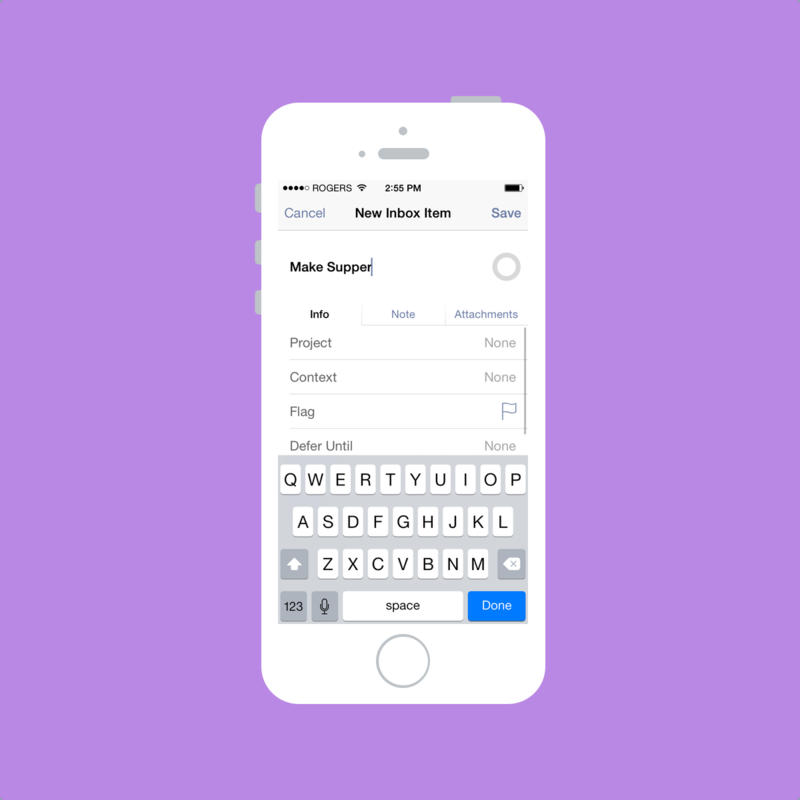 No tool is a one-size-fits-all answer and Omnifocus is no different. Unfortunately, the Omni Group’s 14 day trial is too short to truly understand if Omnifocus suits you. Further, the iOS App Store doesn’t offer trial periods. Your best bet is to buy the cheapest option. At $20, Omnifocus 2 for iPhone is the cheapest way of getting into the Omni Group’s GTD task manager. TL;DR: Buy it. Try it. You’ll probably fall in love with it. And you’ll probably end up buying the iPad and Mac version to join it. There is a longer story here though. 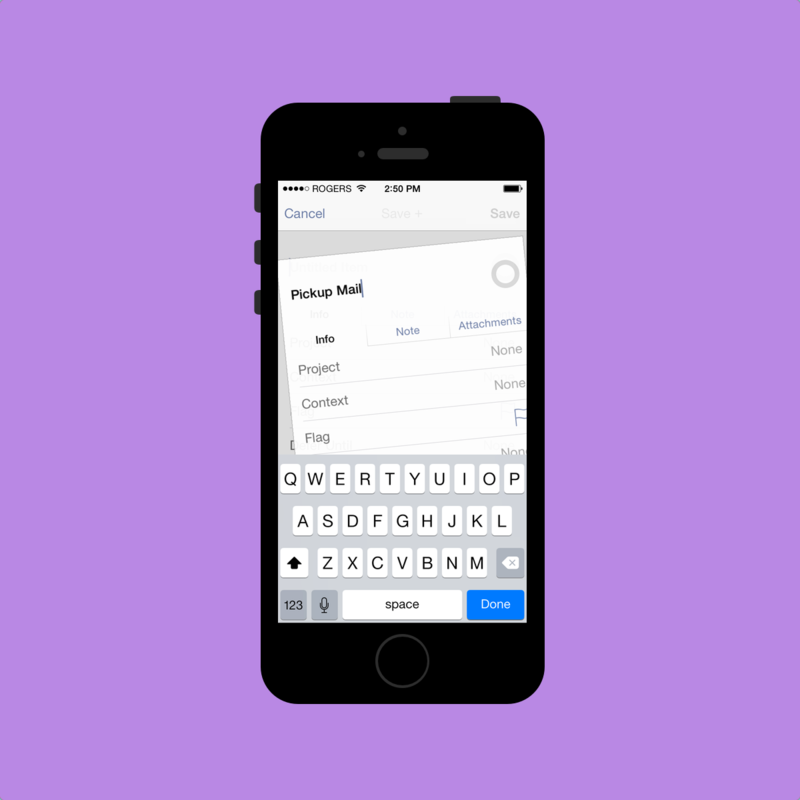 Omnifocus 2’s polarizing redesign has scared off some Omnifocus 1 users. It has a few design choices that don’t make immediate sense. It uses big words — which are immediately seen in Omnifocus’s main screen — that appear overwhelming upon first glance. And Omnifocus’s entire premise is one of power and extreme efficiency. However, it could be your perfect task management app. It’s my perfect task management app. It may be someone else’s perfect task management app because of its implementation of start dates. Or because of customized perspectives. Of all task managers out there, Omnifocus appears to be the most polarizing — you either love it or hate it. All I can say: try it. Don’t let the $20 stand in the way of a potentially life-changing tool. The $20 I spent has changed my life. Omnifocus 2 for iPhone opens up to what I perceive to be an overwhelming main screen. Launching the app brings you to a screen of large and confusing words that will immediately overwhelm a beginner. These small choices immediately introduce Omnifocus as a power-user app. I’ll try, to the best of my understanding, to outline what each of these big words actually means. I don’t have a great idea of what they all mean as I don’t use all of them. But I’ll try anyway. Staying true to David Allen’s Getting Things Done system, Omnifocus’s first main option is the Inbox. This is where most of your tasks start. When it comes time to determine what you need to get done, a good brain dump is key. Getting everything into your Inbox should be your first priority. You can also quickly input multiple tasks at once by using the “Save+” button at the top. If you are in need of quickly jotting down tasks, I would recommend putting them into Drafts or Scratch first and then processing your Drafts/Scratch queue later on. Omnifocus’s Inbox is just not fast enough to use as my main brain dump pool. At this point, tasks in your Inbox can be left in your Inbox until you have time to delegate them further into Omnifocus’s system. You can assign a Context, a Project and/or a Location to your task. Once one of these characteristics are assigned to one of your Inbox tasks, the task gets pushed deeper into the app and out of your Inbox. Bingo! You’ve processed your tasks! When processing your Inbox, you can also assign due dates and start dates to your tasks. I’m only learning now about start dates and their potential and I won’t talk too much about them. If you want to learn more about them, David Sparks wrote an awesome piece for Omnifocus’s new Inside page. In his article, David outlines start dates and how he uses Omnifocus to manage his workload as a lawyer. I really recommend it. Items that have been flagged or that have been given a due date also have a neat “status circle” color change. Omnifocus uses a circle to give status to an item and the color of that circle changes. According to the Omni Group’s video, impending tasks are “amber” (which looks yellow to me) and overdue tasks are “red” (which doesn’t look red to me). 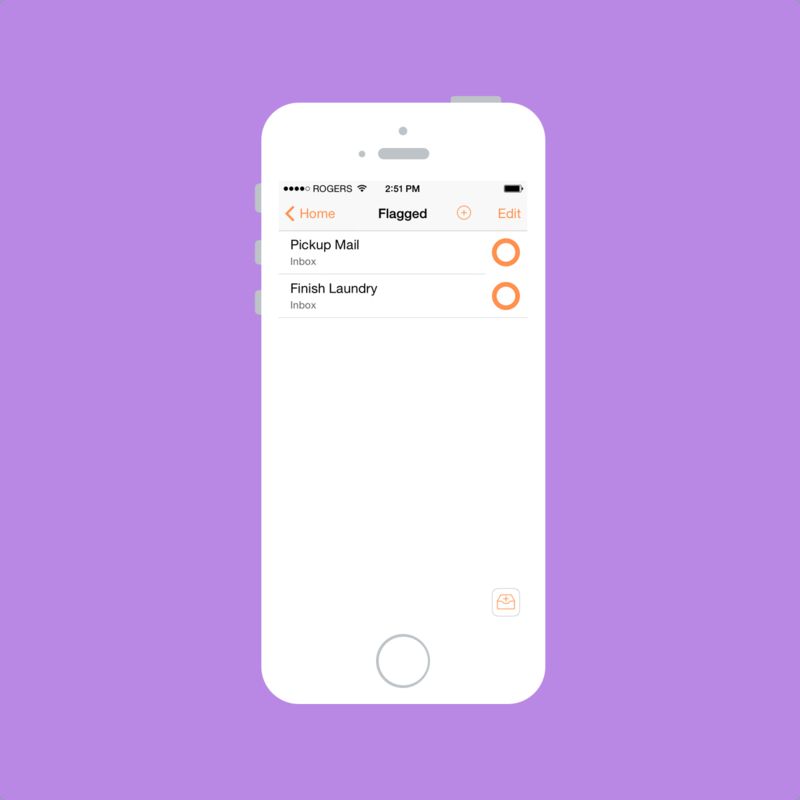 Repeating tasks have three big dots in the middle and a flagged item turns orange. I actually find these status circles to be the only Omnifocus aspect that are self-explanatory. These circles feel natural, look great and add personality to Omnifocus 2. Contexts, Projects and Locations are considered “Perspectives”. Perspectives are different “views” that allow your widespread tasks to be viewed in different forms. For instance, as you can see on my main screen, I can see all my tasks that are due in the next 48 hours. I can also view my completed tasks or my recent edits as well. Contexts, to my understanding, are usually where or how you complete a task. I have five different contexts: Errands, Office, School, Home, and Museum. Any tasks that need to be completed at the office are sent to my Office context and museum tasks are sent to my Museum context. Simple. I use “Errands” as an out-and-about context. Maybe I should name it “Out-and-About” instead. Whatever. Contexts could also be a person or a group of people or a company, but I don’t use contexts this way. Projects, again to my understanding, are exactly that: your projects. They are specific plans that have a group of tasks which need to be completed to complete the project. I don’t think I could make that anymore difficult. Inside my Work project folder, I have specific projects created for each of the clients I do work for. Inside my School project folder, I have a Homework project, an Assignments project and an Exams project. Now all these different perspectives are trumped by the Forecast view at the top of Omnifocus’s main screen. Forecast is the embodiment of a perfect task manager for me. Forecast takes all your due dates, all your perspectives and all your calendar events and notifies you of your impending tasks. In essence, Forecast eliminates the majority of the need to visit your Contexts or Projects pages. If you process your tasks appropriately (and with due dates, as I’ve most recently learned), Forecast will show you what needs to be done today or tomorrow. Forecast is what sets Omnifocus apart for me and why it is one of the few apps that has never left my iPhone’s homescreen. As long as I properly process my Inbox at the end of the day, I can trust that Omnifocus will tell me what needs to be done and when it needs to be done. Plus, it even incorporates my calendar’s events to show me when I will have time to get everything done. I love Forecast. But you knew all this stuff already. Up to this point, I think I’ve just reiterated what the rest of the internet has spewed about Omnifocus and GTD. Overall, this spewing has laid the groundwork for my personal Omnifocus experience. By that, I am referring to recurring tasks. As a bookkeeper/wannabe accountant, I have to complete the same tasks for clients every month or every week or every day at very specific times. Tasks like payroll have to be completed every two weeks and employee tax deductions (known as “source deductions”) need to be completed by the 15th of every month. I have to pick up a client’s mail every Tuesday and Friday and I have to pick up another client’s transaction documents on a daily basis. I have to pay accounts payable at least once a month by a specific date, but there are other instances where bills need to be paid on a more frequent basis. Keeping track of all these recurring tasks is a bloody nightmare. Omnifocus eats these recurring tasks for breakfast. As I stated earlier, as long as I process my Inbox appropriately the first time, I can rely on Omnifocus to remind me and show me when each of these recurring tasks is due. I don’t need to input each of these recurring tasks into my monthly calendar because I don’t need to be constantly nagged throughout the month. In fact, with David Sparks’ start dates paradigm, I believe I can streamline my recurring tasks further. I’ll have to work on this part. 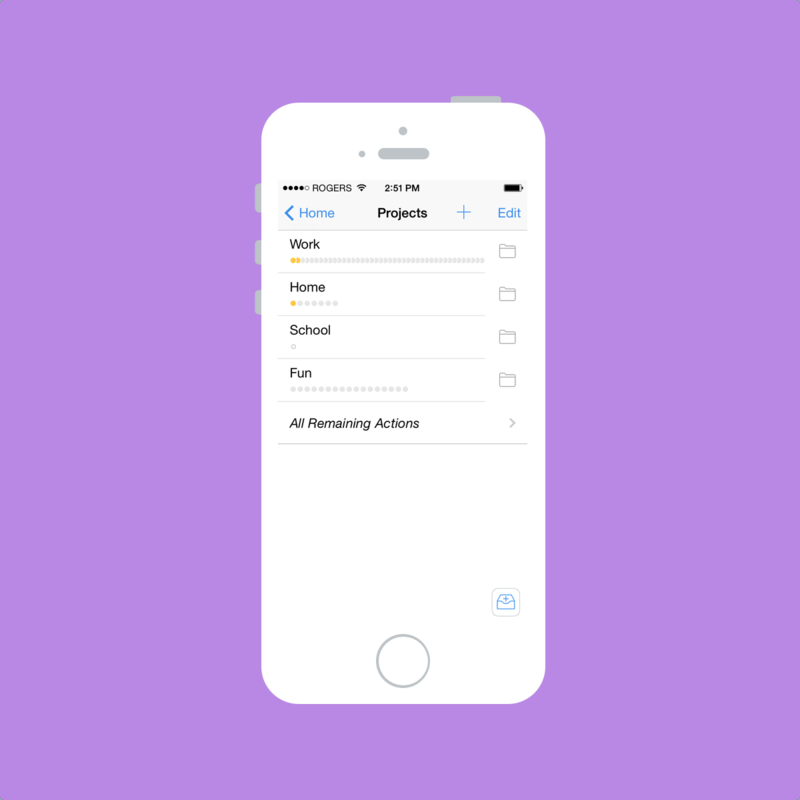 I’ve now stated how I use Omnifocus and why it works for me. However, there are a few areas where I wish Omnifocus was a little less “jumbo”. 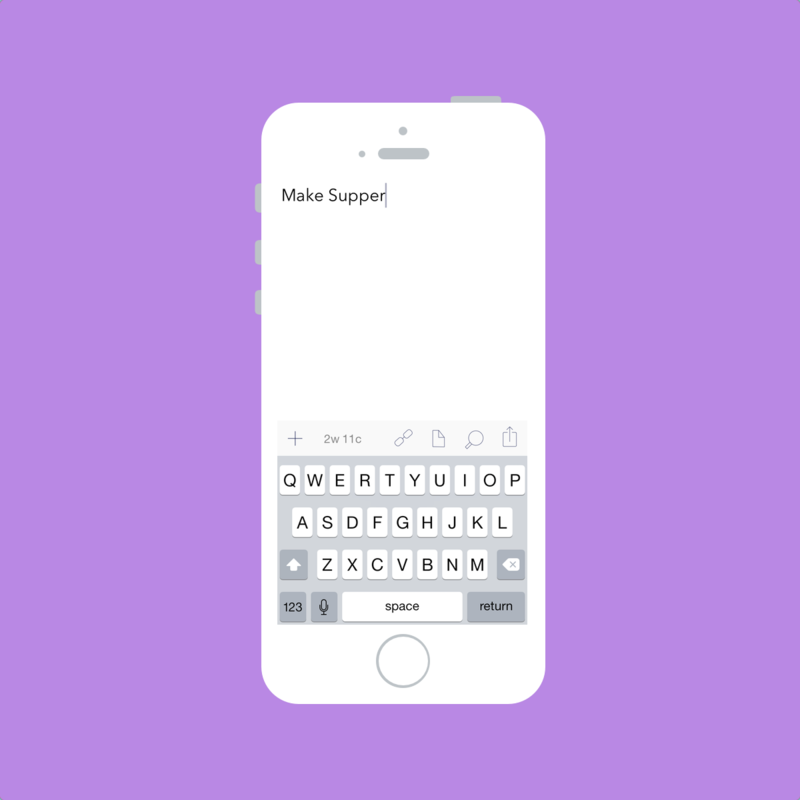 Omnifocus doesn’t handle single, random tasks with the same level of ease as simpler apps like Begin or Clear. I’ve come to feel Omnifocus is too powerful for simple tasks. As a result, I keep a simple to-do app on my homescreen to accompany Omnifocus. I know I’m not the only person who does this. Omnifocus’s learning curve is also very steep and this undoubtedly deters some potential users. Not only is Omnifocus difficult to learn, it is cumbersome to use with simpler workflows. It doesn’t handle task input quickly or efficiently. It’s not meant for compiling lists either. I think Omnifocus on the iPhone will always need one — or even two — companion apps to fully quell all task management woes. In regards to that polarizing redesign I mentioned earlier, Omnifocus 2 does have some awkward design choices. When in Forecast, there is a little “+” inside a circle in the top bar. It looks awkward and out of place. And it even feels awkward to touch to create a new task — it’s just not in a natural spot. Omnifocus’s go-back animation is also awkward. When swiping from the left to go back a menu, the top and bottom fall in rather than a sideways animation that would seem more natural. I just don’t get these two awkward nuances. I’ve laid the groundwork. I’ve discussed what effect Omnifocus has had on me and why I find it useful. I’ve outlined what it does well and what it does poorly. I’ve done exactly what everyone else has done on the internet since Omnifocus was released way back when. So what was the point of writing all this? Because, after all the incredible writing on the power of Omnifocus, people still don’t know if it’s worth the Omni Group premium. While $20 isn’t expensive for great software, it is expensive in relation to the rest of the software on the iOS App Store. Omnifocus 2 for iPhone is inherently met with apprehension because of its high price tag. I’m here to tell you that Omnifocus 2 has saved me $20 by efficiently handling my tasks. And it saved that $20 within the first week after my purchase. Omnifocus has pushed my organization level to an entirely new dimension. I never would have thought a piece of software would be responsible for improving my organizational reputation. I would go so far as to say Omnifocus has altered my job resume — I can state I am extremely organized and extremely detailed. 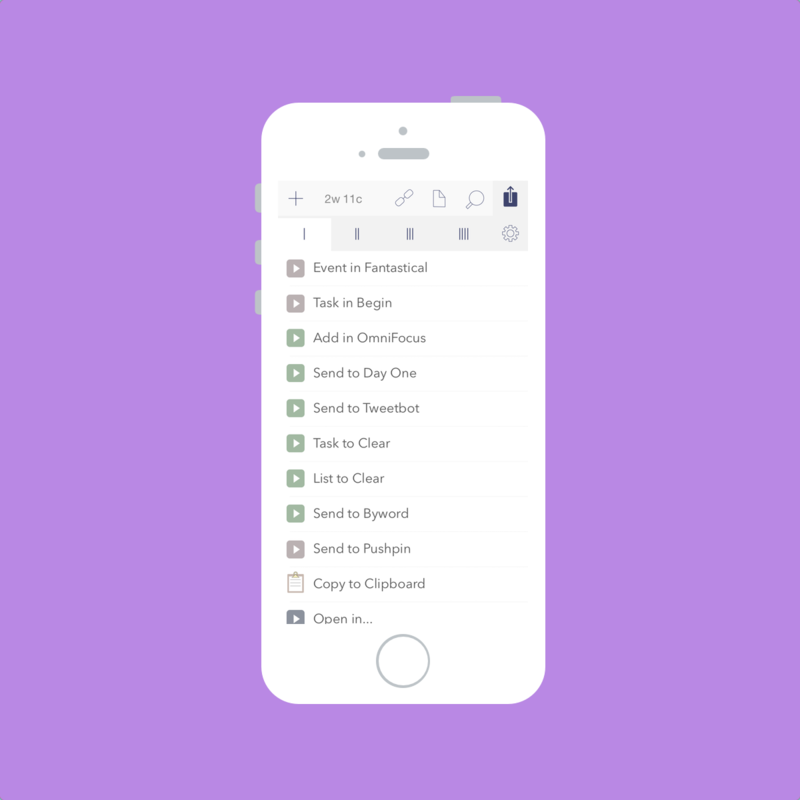 Omnifocus is my organization proof — my organizational means to a successful end. No other app can garner that kind of praise from me. Not even close. Despite its downfalls, Omnifocus has changed my life. I’ll never give it up. How do you know if Omnifocus will have the same effect on you? It might be hard to determine. If you’re asking if Omnifocus is right for you, the only answer I can give is to tell you to buy the iPhone app. It’s the cheapest way to give yourself a long-term trial of a proven GTD system.